If you want to hack any PC user’s WhatsApp account, then the WhatsApp Sniffer for PC is a perfect choice. It is because it has an excellent technology that allows users to get their victim’s WhatsApp data. You will be happy to know that this app is entirely free to use, and you won’t face any trouble while using it. Another Topic is hot now: Here is WhatsApp Sniffer for Windows free download latest version and how to use the APKon the Windows. The WhatsApp Sniffer for PC is an application that allows users to hack other people’s WhatsApp account without any problem. This version of the Sniffer tool is for PC users, and it let PC users spy on their victim’s PC WhatsApp account. But, you need to remember that your PC and your victim’s PC need to be on the same network. In addition to that, both PC need to be close to spying on other peoples WhatsApp account. But, if those devices are not on the same network or not in close, then this app is not going to work. The WhatsApp Sniffer is an impressive app that offers many fantastic features. Now, you can use the BlueStacks to install this spying tool. At first, you need to download and install the BlueStacks on your PC. After that, you have to launch that app, and press on My Apps button on that emulator. Then you must have to go to the search box and type WhatsApp Sniffer. Now, you will find many search results from there you have to select one and install it on your device. At the same time, you have to log in to your Google account to download apps from Google PlayStore on BlueStacks. After that install and log in and start using this app. You also will be able to use the WhatsApp Sniffer on your PC. However, you just need to follow the below steps. You have to install the Nox app player on your PC at first. After installing the Android emulator, you need to install this Nox app player on your PC, and then you have to log in there as well. 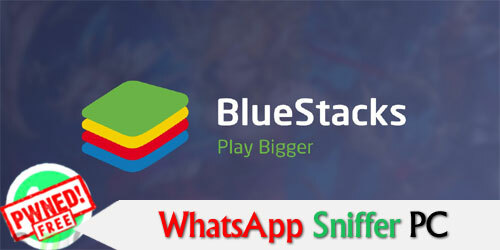 You need to search WhatsApp Sniffer on that emulator and install it. Then start using this spy tool on your PC. In short, the WhatsApp Sniffer for PC is the best WhatsApp hacking tool for PC, and it has various fantastic features as well. At the same time, this tool has a simple interface so it will be easy for you to use the app.